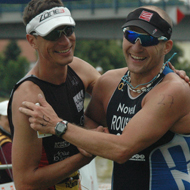 The Quadrathlon world cup circus returned to Tyn, Czech Republic for the European Championships in the sprint distance. 1km Swim, 5km Kayak, 25km Bike and 5km run. The winner was mister Quadrathlon himself. 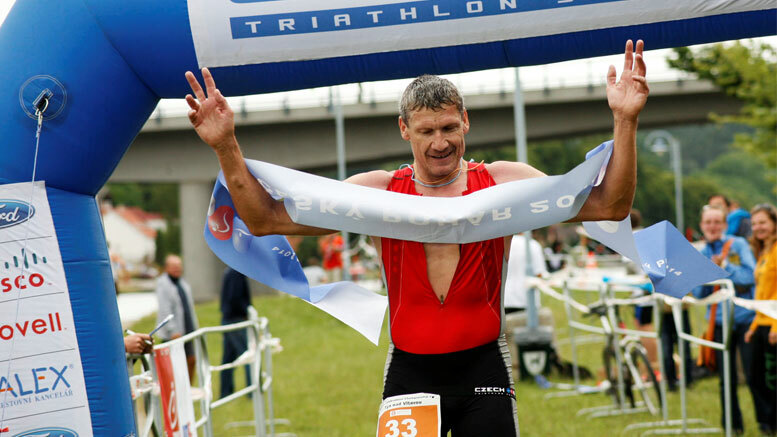 The fast and nimble 48 year old Czech Miroslav Podborský. 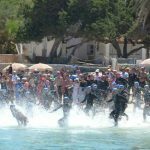 In the swim we saw four strong swimmers taking the lead. The German Stefan Teichert, Podborsky, Vaclav sobotka and the German David Kunderer. 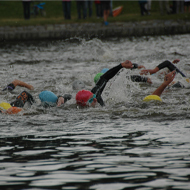 After two laps of the swimming they all moved swiftly in the transition area. 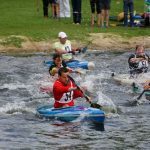 By the paddling in the kayak section Teichert rolled through the transition area faster than all to lead for 1.5km, then Podborsky took the lead, a lead he would keep to the finish. 3rd place was held by Slovak Peter Janiga and 4th by Leos Rousavy (world cup leader). 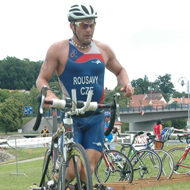 As Mister “Quadrathlon” Podborský took to the bike section, a two lap bike course out towards the dam on a undulating all most traffic free course. He increased his lead even more. On the new run course of three laps we saw Teichert and Roušavý eat a tiny amount into the Podborskýs lead. Teichert running well to finish 2nd. 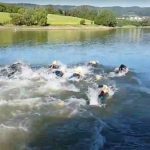 It all looks for an exciting race in Berlin at the world championships with Podborský, Teichert, Roušavý and the Spaniard Albert Corominas who won in Ibizia fighting for the victory. The ladies race was a one horse race. The German Lisa Hirschfelder putting together a perfect race. Her top swim putting her in the lead. 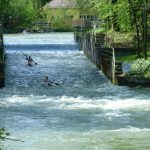 A lead that she just built on with top performance in the kayak and bike section. 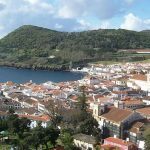 Lisa who is studying Medicine enjoyed her 2nd European title this year. Her lead in the world cup standings looks like she cannot be beaten this year. 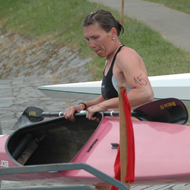 Second place went to Tereza Adamovská after a strong swim and Kayak. 3rd went to German Kerstin Rümke. 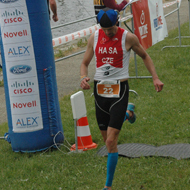 As usual the race was organized to a top standard and Týn can stay the home of Czech Quadrathlon. Be the first to comment on "No one can match Podborský"